In our commemoration of the centenary of the NSW public housing system, we've noted the roles played by John Rowland Dacey, Jack Fitzgerald, Bertie Stevens, Bill McKell, Robert Menzies* and Frank Walker... and to a man, all of them are men! This won't do, because women have played a big part in the history of public housing. Here we note three of them. First, a bit of background. Although the NSW public housing system got started in 1912, its operations were very stop-start and experimental, and its institutions very unsettled, until the 1940s. It really became an enduring part of the policy landscape – and the landscape of our cities and towns – after 1945, when the Commonwealth began funding State Governments to build and operate public housing under the Commonwealth-State Housing Agreement (the CSHA). The involvement of the Commonwealth in public housing was a core recommendation of the Commonwealth Housing Commission (the CHC), a board of inquiry appointed in 1943 by Ben Chifley, as Minister for Post-War Reconconstruction, to report on '(a) the present housing position in Austrralia, and (b) the housing requirements of Australia during the post-war period'. We consider that a dwelling of good standard and equipment is not only the need but the right of every citizen – whether the dwelling is to be rented or purchased, no tenant or purchaser should be exploited for excessive profit. Two women were instrumental in the work of the CHC. Mary Ryan was a member of the Commission. An unappointed social worker, Labor Party activist and resident of Portland, in Chifley's electorate, Ryan had trained and worked as a nurse and, before that, as a domestic servant. In fact, even before going out into domestic service she had run a household: from the age of 13, she ran the house for her parents and five siblings after her mother recovered from the loss of two other children. The experience made her an advocate for improved housing conditions, particularly in relation to the services and utilities provided in them, and the community facilities provided without. This interest was reflected in the CHC's recommendations for the planning, financing and provision of community facilities in conjunction with public housing. 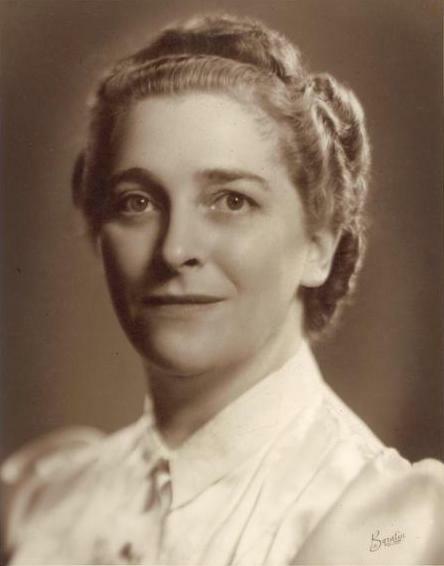 She worked closely with [Director General of the Department of Post-War Reconstruction, H C 'Nugget'] Coombs undertaking, commissioning and assembling research material for the CHC, managing the often tuburlent relations with some of the CHC's advisory committees, the other Commissions, government and other agencies, generally keeping the CHC on the rails. She recealed exquisite diplomatic skills in dealing with some of the more egocentric 'experts' she encountered and also drafted much of its final report. The completion of the report on issues of such complexity and magnitude in the brief time available was largely due to her organisational skills and clarity of vision. Our third female pioneer in public housing policy came almost a generation after the CHC and the first CSHA. Senator Dame Annabelle Rankin (pictured above) was appointed Housing Minister by Harold Holt when he became Prime Minister on the retirement of Menzies on Australia Day 1966 – making Rankin the first woman to be appointed to a federal ministerial position that administered a department. At the time of Rankin's appointment, the CSHA was in its third version and was just about to expire. It and the second CSHA, as we've discussed previously, were quite different from the first, having diverted a large part of the Commonwealth's funds – and the State housing housing authorities' dwellings – out of public housing and into owner-occupation. Meanwhile, other tensions and challenges in housing policy were opening up. Land price inflation, driven by speculation and the Government's encouragement of owner-occupation, was accelerating, and making the business of building public housing increasingly expensive. More flats were being built, both by the private sector (spurred by land price speculation, facilitated by the advent of strata title) and by the State housing authorities (motivated in part as a defence against the rampant sale of public housing houses). On the issue of slum clearance, there were several views within the Federal Cabinet: one was that the Commonwealth should encourage and support the redevelopment of inner-city slums into high-density public housing, the better to concentrate presumably Labor-voting tenants in a relative few electorates; another view (Rankin's) was that slums should be redeveloped into housing marketed to higher-income households, and the proceeds used to build outer-suburban public housing estates; yet another view was to do nothing in particular and leave it to the States. Housing and urban issues were becoming matters of social and political interest at the time. Whitlam was beginning to make political capital out of the housing, planning and development failures that were increasing obvious int he major cities. Rankin sensed this but was unable to carry her colleagues with her.... The history of the Commonwealth's involvement in housing and urban policy issues might well have been different had Treasury not been so obdurate in its opposition to the ambitions of [Rankin]. That's just three women who have made a contribution to the history of public housing. Following Rankin there have been other female Housing Ministers; there have also been, and are increasingly, many women in executive positions in public housing bureaucracies, and in local public housing offices (where they are almost certainly a majority). Women are running the peak community organisations for the social housing system, and so many of the local organisations and residents' groups, and are generally keeping the whole thing going. * Fans of part one of our critique of Menzies' 'The Forgotten People' – yes, both of you – will be excited to learn we haven't forgotten and will return with part 2 soon.